Spot the heat signature of wildlife in the brush, blood trails, or downed game up to 600 yards away with the LTO-Tracker 2 Thermal Monocular from Leipold. 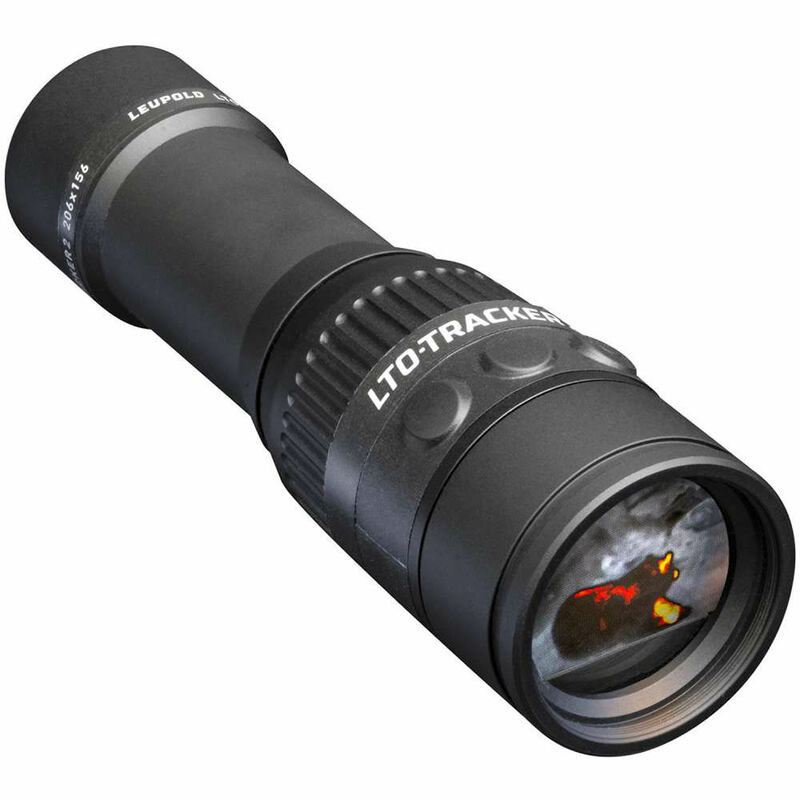 The LTO-Tracker 2 features Beacon mode, which allows you to quickly recalibrate the screen to improve daytime use and makes it easier to identify objects that have a similar heat signature to their backgrounds. Built around its 206 x 156 thermal sensor, the monocular's sensitivity allows it to differentiate between temperatures from -40 to 572°F. With its 1.2", 240 x 204-pixel flat bottom AMOLED display, it delivers images in six different color palettes at a refresh rate of 30 Hz. The optics will deliver a horizontal field of view of 14°; the 7X digital zoom will magnify your view of distant objects. Box Dimensions (LxWxH) 13.8 x 7.3 x 2.7"